Craig Collins of Loretto, ON was named JC Volunteer of the Year for 2018 in recognition of the countless hours he has spent developing show jumping in Canada for over 20 years. This represents Collins’ second JC Volunteer of the Year Award after he received the honour in 2004. Since then, Collins has continued to challenge the number of working hours in a day, packing them with activities geared towards making Canada the strongest player possible on the international equestrian scene. After having previously served on the Equestrian Canada (EC) Board of Directors from 1996 to 2000, and again from 2010 to 2013, Collins returned as a Director for a third time in 2017 and sat on the Finance and Competition Structural Alignment Committee. To date, he has sat on ten EC committees and acted as Chair or Co-Chair for five of them. Collins was also a founding member of the Jump Canada Board of Directors, and served on its Finance, Competitions, Rules and High Performance Committees. At the local level, he has shared his expertise as a board member of Ontario Equestrian and the Ontario Hunter Jumper Association. Collins also dedicates his time working as an official, which serves to improve his show jumping knowledge base, and, in addition, provides an essential service for competition organizers and athletes. He is certified as an FEI Level 2 Jumping Course Designer, EC Hunter and Jumper Senior Course Designer, and EC Senior Judge in jumper, hunter, and hunt seat equitation. Since 1986, Collins has worked at more than 150 national and international competitions and constantly strives to stay connected with the day-to-day operations of running a horse show. Collins’ vast skill set developed over a lucrative professional career as the founder, CEO and CFO of the Equestrian Management Group. Under Collins’ management, Caledon Equestrian Park in Palgrave, ON has grown to facilitate over a dozen high quality competitions annually of up to 1,200 horses each, and the venue successfully delivered the equestrian portion of the 2015 Toronto Pan American Games. His professional achievements demonstrate the expert sense of business acumen and ingenuity that Collins generously offers for immense benefit of the Canadian equestrian community at large. Collins constantly travels to augment his own experiences with new ideas sourced from around the world. Canada has profited greatly from the wealth of shared knowledge Collins has accumulated from his international colleagues. Conversely, Collins has freely shared his own expertise abroad, such as in 2009, when he conducted the first FEI Competition Organizers Seminar in Melbourne, AUS, in collaboration with the Australian Equestrian Federation. Equestrian Canada is grateful to be the beneficiary of Collins’ constant quest for knowledge and desire to better equestrian sport, and pleased to recognize his diligent efforts with the JC Volunteer of the Year Award for 2018. Collins is a member of a long list of distinguished JC Volunteer of the Year Award recipients, including Mark Samuel (2017), Marjorie Dennis (2016), and John ‘JT’ Taylor (2015). 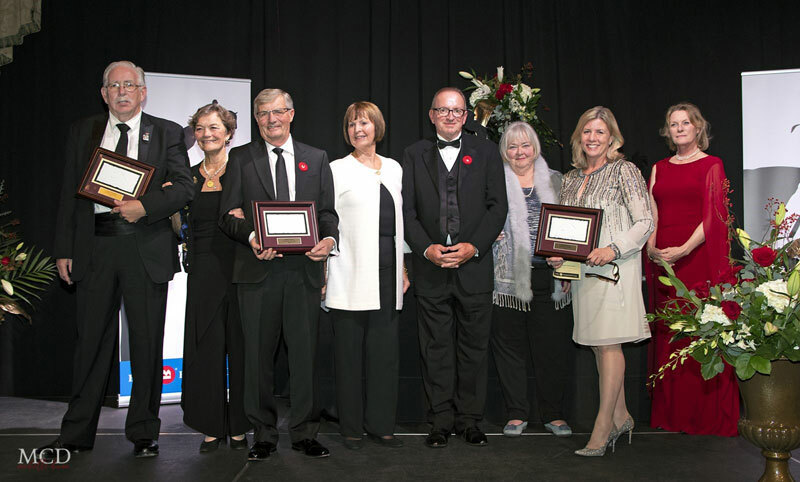 For a complete list of award recipients, click here.